Own your piece of heaven in the middle of the rain forest, 4 minutes away from the beach. 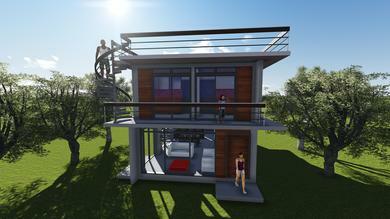 Pre-construction prices start at $99.000. Lots are available starting at $40 a square meter. 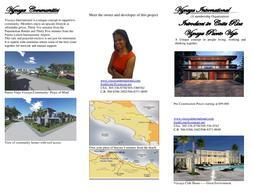 Our Vizcaya Puerto Viejo location, is a 17 acre community 5 minutes outside the town of Puerto Viejo. 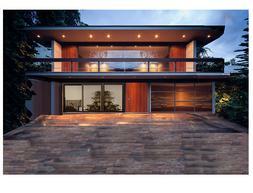 This property is thirty five minutes from the Panamanian border and forty minutes from the city of Puerto Limón. Vizcaya is a unique concept in supportive community living. Residents will enjoy an upscale lifestyle at affordable prices. 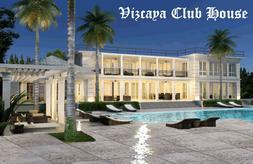 Members of Club Vizcaya receive a discount on purchase of their lots, and services are provided for financing on the building of thier home. It is one of the few places in the world where people genuinely care about each other regardless of belief or ethnicity. 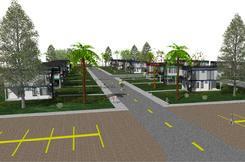 Amenities will include: Club house with bar, restaurant, swimming pool, tennis court and more...Great environment...!! Vizcaya Puerto Viejo is a project that consists of the development and the operation of a residential community that offers a variety of services and amenities to its residents, all designed to improve their quality of life. All of our communities are made of two story contemporary homes with roof access, for sunbathing and enjoyment of the natural surroundings. Amenities in these communities add quality of life and entertainment to residents and guests alike. Don't miss this opportunity to obtain your piece of paradise at bargain prices. Pre-construction prices start at $99,000. This offer won't last long...!!! All our guests will be considered honorary residents and the privileges of this exclusive community are granted to all during their stay at Vizcaya Puerto Viejo. 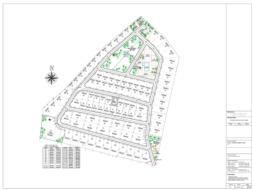 Contact us for more information on how to obtain your home or lot in this Community. This safe and peaceful enclave is not just for retirement. It is replete with amenities where some of the best come together for network and mutual support. The world-wide epidemic of use and abuse of drugs and general increase criminality have created the necessity of secured areas where working families and their friends can enjoy and share pleasant moments in a safe environment. At Vizcaya, this sad reality is recognized and we are determined to keep all of our communities free of illegal drugs and criminal activities. Everything will be done to ensure peaceful and enjoyable living in our communities.